Namibia now has a wind farm with a capacity of 5 MW, which was recently commissioned in Ombepo, in the southwest of the country, by InnoSun Energy Holding, a Franco-Namibian company. The climate along the coasts of Namibia is often very harsh for the populations, due to the strong winds brought by the Atlantic Ocean. This phenomenon can be transformed into an advantage, however, if it is tamed. That is what the Franco-Namibian company InnoSun Energy Holding has succeeded in doing. 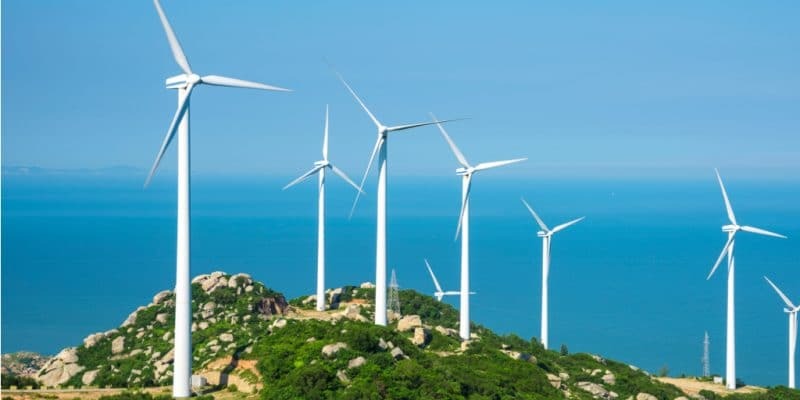 It has built a wind farm in Ombepo, in the south-east of the country. A major challenge of the project: the resistance of wind turbines to strong winds. The company relied on the Penetron Admix, a crystalline product that was used to build the foundations of the three towers, each with three blades and turbines. Each wind turbine is 80 m high. These wind turbines produce a total of 5 MW. The Namibian authorities recently visited Ombepo for the inauguration of the park, which was put into commercial operation in 2018. The construction of the Ombepo wind farm cost N$180 million, or US$13 million. The project was supported by the Lüderitz City Council, which is a minority shareholder. While Tom Alweendo, Minister of Energy, welcomes the partnership between the coastal city and InnoSun Energy Holding, he also points out that this project is in line with the ambitions of the government of which he is a member. The authorities of this southern African country want to achieve 70% renewable energy in the energy mix by 2030. More importantly, Namibia is beginning to gain energy independence from countries such as South Africa, Zambia and Zimbabwe. For example, the country hopes to have four solar farms with 98 wind turbines. According to government forecasts, these facilities are expected to increase the country’s generating capacity from 400 MW to 600 MW to improve access to electricity. In the meantime, the country is making progress in the production of renewable energy. In Otjozondjupa, central Namibia, two German companies, Gildemeister Energy Solutions and SunEQ GmbH, are building a 6.5 MW solar park. The project is supported by a joint venture owned by these two companies, Namibia Infrastructure Finance Ltd (Nifco), an infrastructure investment company created and managed by IJG Capital Ltd. and Old Mutual Investment Group Ltd., and Hungileni Investment Partner Empowerment, a company owned by women. Other wind power projects will also be launched between the cities of Oranjemund and Lüderitz.